While the rest of us poor bastards in North America have to wait for Captain America: Civil War to open next Friday, much of the rest of the world is seeing the movie beginning today. However, just because the lead character is named "America" doesn’t mean that other countries aren’t just as excited to see it as everybody else. Anticipation for this one is so strong that Civil War is expected to do $200 million in business by the end of the weekend. By Friday Captain America: Civil War will be open in about 63 percent of its total foreign territory including the UK and Australia. While the world’s second largest box office nation, China, has to wait for the May 6 release date along with the US and Canada, the sheer number of countries that will be getting access to the film this weekend means that Civil War will be putting up huge totals even before it gets to us. According to The Hollywood Reporter, Avengers: Age of Ultron had a $212 million opening internationally, so Civil War looks to have the potential to finish ahead of those numbers if it performs even slightly better than expected. As another point of comparison, Captain America: The Winter Soldier only had a $78 million international debut, so Civil War looks to be blowing that number out of the water. These totals are just going on top of the projected $175 million that Captain America: Civil War is expected to bring in in North America when it releases on May 6. Add to this whatever the movie is able to do in its opening weekend in China, the other 37 percent of the international audience, plus a second week of business in the rest of the world, and all of the sudden we’re talking about real money. Could Captain America: Civil War have a half billion dollars in ticket sales by the end of its first weekend of global release? It certainly seems possible. Avengers: Age of Ultron make over $155 million in its opening weekend in China. It doesn’t even have to hit that mark for Civil War to have $500 million in global business if these other numbers all hit as expected. It’s more likely that it will have much more business by that point. 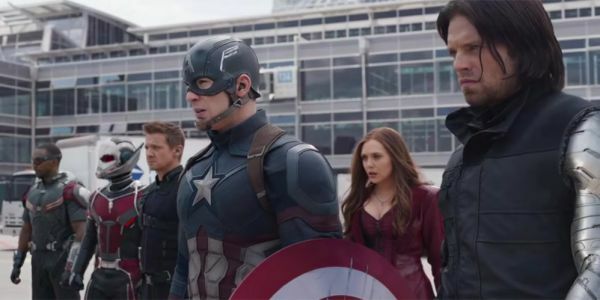 It’s no surprise that Captain America: Civil War will open big. The larger question is what sort of staying power it will have to build on these opening numbers. The reviews for Civil War have been strong, thus far it’s Marvel’s best reviewed film to date. Will you be part of the Civil War opening weekend or are you planning to wait to see what movie fans actually say about it?